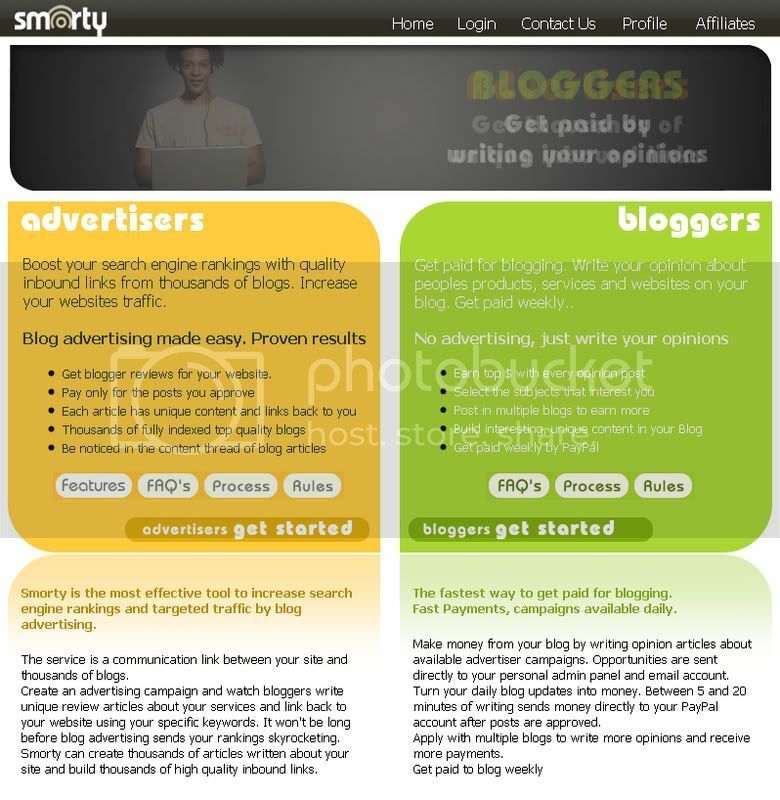 Smoty is another Pay Per Post service, which is connecting advertisers and bloggers. If you are currently monetizing your site, especially by writing paid articles or reviews, I greatly recommend all of you another service provider called Smorty. Publishers will pay you when you write in your own blog your opinion about their products or services, Smorty is just a platform for blogers and publishers, for one thing, publisher find bloggers to advertise on blogs, by writing reviews for them. For another thing, bloggers can find what can write there, and get paid. As I told you above, you grab an opportunity and then write your own post and get paid. But before you get started on Smorty, your blog(s) must meet these requirements. Your blog(s) must be indexed by Google and Yahoo. Your blog(s) must be older than 3 months. Your blog(s) must not contain any violent, hate related and adult related content. As long as your paid post got approved, you will be paid minimum 6 USD, currently by Paypal. Now a days, more and more people begin to blog, and a lot of world famous website are just base on blogs, it has a lot of visitors a day, so I think blog is really a good place for publishers and advertisers to martketing their products or websites.